The Better Homes and Gardens Desk will bring a vintage look into your home office, while offering you a place to store belongings that you need at hand while you are working. This item is durable and can be relied on to get your projects done. 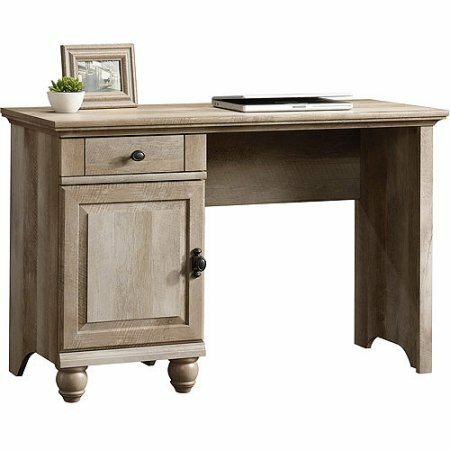 With versatile finish, the home office desk features a country-style build, making it feel cozy. This desk with drawer features metal runners and safety stops.